KATHMANDU, March 9: Three Nepali currency notes and a coin have made it to a list of "the world's most beautiful currencies" this year. The Telegraph, a British newspaper, has listed 21 different currencies of the world as 'The World's Most Beautiful Currencies' on its website. 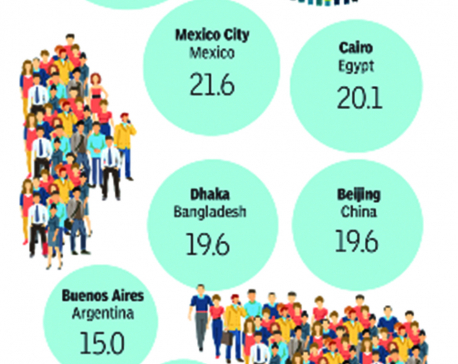 Among the total 21 different currencies, three Nepali currency notes and a Nepali coin have made it to the list prepared by the Telegraph. According to The Telegraph, the uniqueness and use of animals is the main reason for the Nepalese currencies' inclusion in the list of the 'most beautiful currencies'. The Telegraph has included three Nepali notes -- Rs 500, Rs 5, Re 1 notes -- and Rs 2 coin on its list. The British daily has listed Rs 500 bill quoting "Nepal boasts some lovely notes, such as this one showing two tigers in great detail". Likewise, it has said "Animals feature strongly here too--these are two yaks, which are important in Nepalese culture" about Rs 5 note on its website. "The simplicity of colors stands out on this one rupee note" said the telegraph of the Re 1 note. 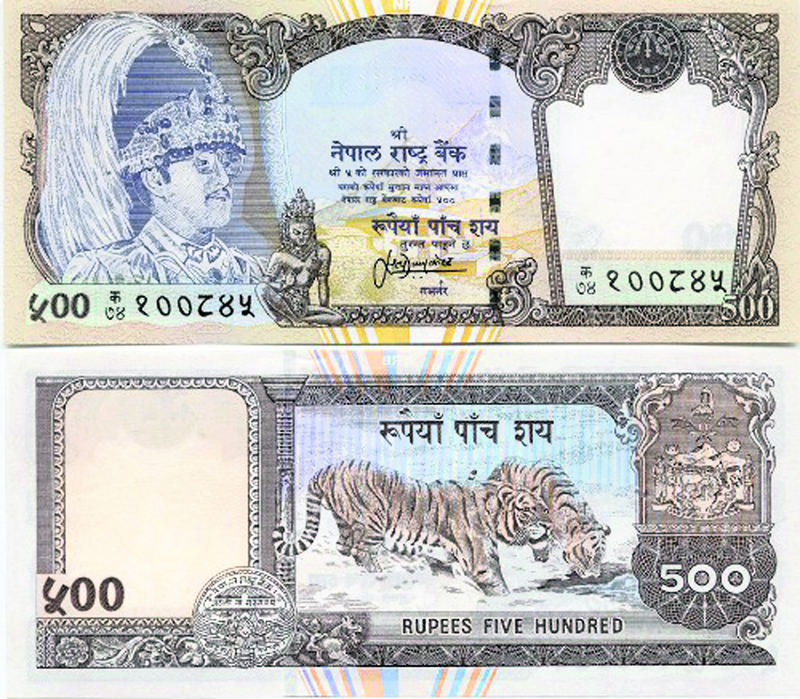 Similarly, the newspaper has listed Rs 2 currency of Nepal for its uniqueness in terms of its looks. "A man herds buffalo [oxen] through a field on this whimsical Nepalese coin" said the Telegraph about Rs 2 coin. A currency each from Czech Republic, Mexico, Egypt, France, Namibia, Samoa, Uganda, Bermuda, the Maldives, Australia, Switzerland, Trinidad and Tobago, and New Zealand have also been placed on the list. Similarly, two currencies each from Burma and Kazakhstan have been listed, respectively. Meanwhile, the International Bank Note Society (IBNS), recognizes 'world's favorite bank note' every year. This year, IBNS has listed 19 different currencies as the 'world's favorite bank notes'. According to IBNS, each member of the IBNS will vote for the 'Banknote of the Year' award. Last year, New Zealand's five-dollar note had won the world's favorite banknote for its artistic look, according to IBNS. Two South Asian currencies -- 1,000 rufiyaa note of the Maldives and Rs 2,000 note of India have made it to the IBNS' list of 'World's Favorite Bank Note'.